After a close national final, the Portuguese team is now preparing to compete with more than 30 countries in the world championships next April in Dubai. 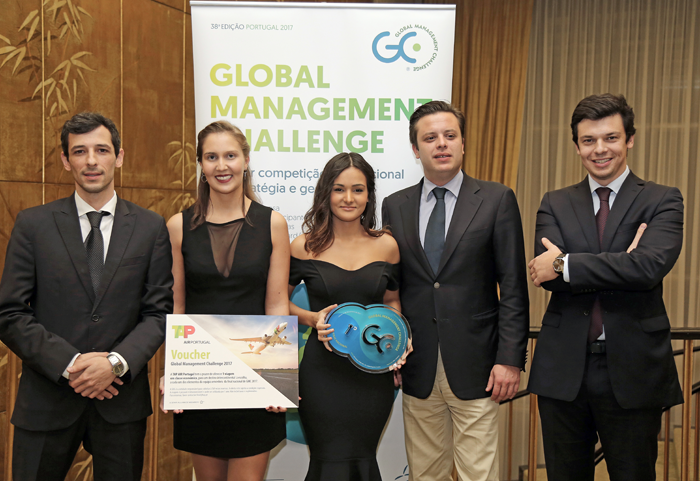 In November, the 2017 Global Management Challenge Final in Portugal was held in Lisbon. Five executive teams, two student teams and one mixed team competed for the national title, but after a day of intense competition, victory went to IAPMEI/FTCARVALHO-JSI. 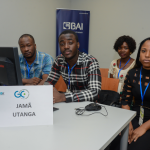 A mixed team composed of four young executives and a student, which was supported, by Fábrica de Tecidos Carvalho and the Institute for Support to Small and Medium Enterprises and Investment (IAPMEI). Not their first time in the competition, the winning team of the 2017 National Final came second in the 2016 edition. The desire to win this year and to rise to the top of the podium was very present throughout the day of the competition. The truth is that after all five management decisions, João Maia’s team obtained the best performance from his company and became the 2017 Portuguese winner. “We invested in creating quality products and marketing with a view to differentiating our products, selling more and gaining market share”, said the leader. The results were the fruit of many hours of studying various scenarios, complemented by the training and professional experience the team members were able to contribute. The next stage is the International Final. “We will try to reach the best position Portugal has achieved in recent years”, explained João Maia. He added that everything will depend on the scenario they will have to work on at this stage, and reminded us that the international competition is of a high standard and any mistake can make the difference between winning and losing. João Matoso Henriques, CEO of SDG pointed out at the end of this 38th edition that the goal, from year to year, is always to do better. 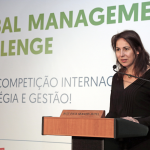 Internationalization is constantly in the sights of the organization of this strategy and management competition, the largest contest of its kind in the world. “This was an intense year at international level, with India and Iceland starting in 2018 with their first edition. We have four new partners, namely the Czech Republic, Slovakia, Cameroon and Côte d’Ivoire, and we are in the final phase of welcoming new counties such as New Zealand, Uganda, Australia and Liberia”.